Multiple reports predict Apple will reveal partnerships with the major credit card providers as part of a new mobile wallet initiative that will be unveiled at the big annual iPhone launch, set for 9 September. A partnership with AmEx was first reported by re/code as forming part of a new “iPhone payments system”, which seems to be along the same lines as the ‘mobile wallet’ we’ve all been waiting so long to come to fruition. The report doesn’t list any retailers, but it must be assumed that the system will feature an NFC-powered contactless system. There was no comment either way from Apple or AmEx. Bloomberg soon followed up with sort-of confirmation (single, anonymous source) that Visa and MasterCard are on-board too. The same shadowy figure also confirmed the NFC tech, which has hitherto been missing from iPhones, despite first being supported by Android a few years ago. 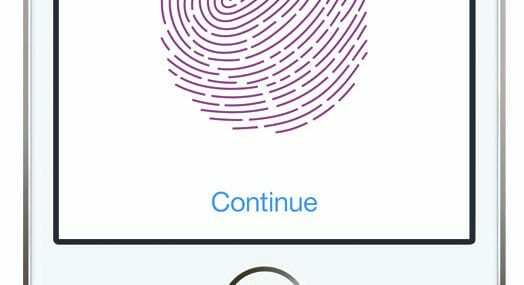 The Touch ID fingerprint reader, which had a successful debut in the iPhone 5s last year, will form the first line of security. The mobile industry has been waiting for the Mobile Wallet to gain momentum for years now. The advantages are clear: if people can effortlessly pay for anything with their phones then that opens up all kinds of commercial opportunities along the lines of LBS, loyalty/vouchers, ticketing, etc. The problem so far has been that so many stakeholders – including smartphone vendors, platforms, financial services providers and retailers (and operators?) all need to be in agreement for it to happen. Probably the only company with the clout, brand and general corporate weight to make this happen is Apple, which is why, despite the best efforts of Google, Microsoft, Samsung, etc, things have yet to get going. If these reports are true, and Apple does finally unveil a mobile wallet ecosystem at the iPhone launch next week, we expect that to catalyse the broader mobile wallet initiative and we could be about to see the start of a whole new commercial land-grab. We spoke to Guillermo Escofet, Senior Analyst at Ovum, who also sees this as a potentially major inflection point. “If Apple’s new iPhone 6 does indeed come with a mobile wallet and NFC, it would lift a big barrier preventing the take-off of mobile contactless payments,” said Escofet. “Apple’s reluctance up until now to include NFC in its product line-up has been a big factor in undermining retailer faith in mobile NFC, which has in turn slowed down retailer adoption of contactless point-of-sale terminals. “Apple is the online player with the world’s largest store of credit/debit card details, thanks to its more than 800 million iTunes accounts. Also, compared to Android, iOS has a more secure and controlled architecture and a more affluent user base. All these factors combined would make Apple a formidable mobile wallet player.